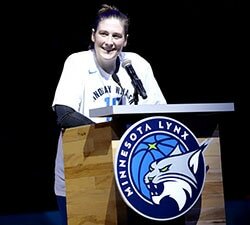 The bracket for the 2019 NCAA women’s basketball tournament was revealed on Monday with the teams that met in last year’s championship game – champion Notre Dame and runner-up Mississippi State – as two of the four No. 1 seeds, along with Louisville and the overall No. 1 seed Baylor. For the first time since 2006, Connecticut is not a No. 1 seed, with the perennial powerhouse entering the 2019 tournament as the No. 2 seed in the Albany region. While UConn’s run of 12 straight No. 1 seeds has come to an end, Tennessee’s streak of making the NCAA tournament extended to 38 as the Lady Vols survived the bubble to enter as a No. 11 seed, also in the Albany Region. As the 64 teams get set to vie for the national championship over the next three weeks, the tournament also provides seniors with a chance to make a strong final impression before they take their careers to the professional ranks. 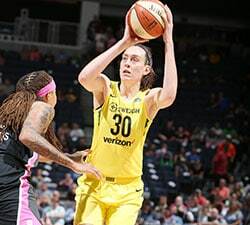 The 2019 WNBA Draft will take place just three days after the national champion is crowned. Here is a region-by-region look at the top senior prospects to watch as the tournament gets underway. Brown is a throwback center with the size, strength and agility to dominate the game on both ends of the court. At 6-7, she plays with her back to the basket and often forces double and triple teams to try to stop her. The daughter of NBA journeyman PJ Brown, Kalani has the pedigree and the skills to make an impact at the professional level. When Kristin Anigwe wakes up in the morning, she already has a double-double, it’s that automatic. The nation’s leading rebounder (16.3) and seventh-leading scorer (22.9) has posted a double-double in every game this season, including her historic 30-30 game against Washington State on March 3. Key does a little bit of everything for the Tar Heels as she leads the team in scoring (17.1), assists (3.92) and steals (2.0). The 5-9 guard had a signature performance earlier this year when she had 30 points and 10 assists as UNC took down then No. 1 Notre Dame. 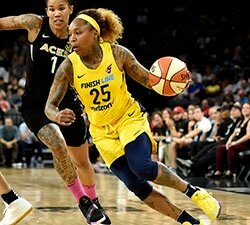 Jennings considered entering the WNBA Draft a year ago as an early entry, but decided to return to South Carolina for her final year of eligibility. The 6-3 forward is the second-leading scorer (11.2) and leading rebounder (6.2) for the Gamecocks this season. Kiara Leslie does it all for NC State as the 6-0 wing leads the team in scoring (15.5), steals (1.1) and blocks (0.8) and ranks second in rebounds (7.1), assists (3.0) and 3-pointers made (2.0). She does all this while also routinely defending the opponent’s top perimeter threat as she was named to the ACC All-Defensive Team. 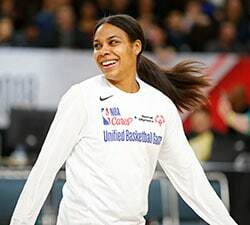 While she had plenty of offers to play college basketball outside of Missouri, Cunningham committed to her hometown school and helped the program make four straight NCAA tournaments after an eight-year absence prior to her arrival. The 6-1 wing leads the Tigers in scoring (18.0), assists (2.8), steals (1.3), 3-pointers made (2.5), and 3-point percentage (41.4%, 25th nationally). She has a knack for getting under an opponent’s skin with her intense playing style; a player teams hate to face but teammates love to have on their side. Gustafson leads the nation in scoring (28.0) and field goal percentage (69.9%), ranks fourth in rebounding (13.3) and has 30 double-doubles in 32 games this season. She was recently named ESPNW Player of the Year and it’s easy to see why. She’s coming off a 45-point performance in the Big Ten Tournament championship game that helped lead the Hawkeyes to their first title since 2001. The 45 points were a season-high and her third 40-point game this season.